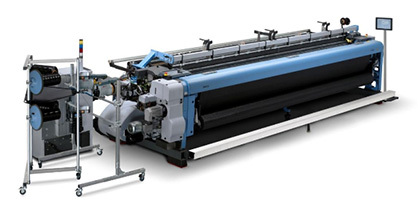 The Italian based Company will showcase its absolute worldwide best-seller, the Itema rapier machine R9500. The R9500 on show, courtesy of the Itema Customer Well Group based in Chittagong, will exhibit a shirting fabric which represents one of the most produced in the Bangladeshi weaving mills. 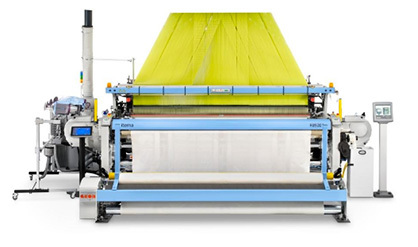 The Itema target is to demonstrate to the industry the textile superiority, the real production performances and the excellent efficiency of the R9500 when it comes to weaving the widest range of fabrics, including shirting, apparel, bed sheeting. DTG is for Itema the perfect stage to allow the Bangladeshi weavers to experience first-hand the advanced weaving technology and the worldwide Itema references, in what is defined as one of the future leading countries in the woven fabric production. In fact, despite garmenting is a major industry in Bangladesh the biggest amount of fabric required is still imported from other countries. In this landscape, the future development of the weaving industry represents one of the main potential sectors for growth of the Bangladeshi textile industry. Itema positions itself as a reliable partner - and not only a simple supplier - for textile companies, providing best-in-class, made in Italy weaving machines along with a real-time after-sales service, highly professional trainings for the weavers and integrated textile consultancy. Itema is uniquely positioned in the market to offer textile manufacturers the top three weft insertion technologies – rapier, airjet and projectile, OEM spare parts, upgrade kits and a the dedicated online shop MyItema for the historic brands now part of Itema – Somet, Sulzer and Vamatex, plus highly professional trainings in 6 worldwide locations. Itema, as a customer-oriented Company, wants to give to the Bangladeshi textile entrepreneurs a valuable option in the market and features a solid organization in the country, relying on a trained and professional locally based team of technicians. The Italian representatives of the Company along with the Bangladeshi Itema dedicated team will be at DTG to meet the industry players, to listen to their needs and to show to them the multiple possibilities and advantages that they could get by dealing with Itema. To learn more about Itema’s technological innovations, visit the Joint ITEMA & PACIFIC ASSOCIATES booth in Hall 7 Stand 510.